When I decided to take off work to watch the first two days of the NCAA tournament last year, my manager scrutinized me. Never mind that I’d done so the previous three years, she just didn’t get it. This much was obvious. But see, the thing is, I don’t believe you have to truly “get” basketball to enjoy March Madness. Now, for those who know me, you’re probably thinking I don’t have any grounds to make such a claim. I LOVE college basketball. For me, these next two weeks are better than Christmas. What can I say? I grew up in a family of three girls — my dad needed someone to watch sports with — and I went to college at the University of North Carolina, where basketball is kind of a big deal. I can you tell you just about anything, about any team or any player. In fact, talking sports is one of my specialities. When I started this blog two years ago, I even asked my editor if I could bring up sports on it. “NO,” he said :), keep the theme consistent, and I appreciated his reasoning. So in light of that theme, which is lessons, and in light of all of you who may wonder “what’s so great about March Madness?” I thought I’d post a few pieces of wisdom that anyone and everyone can take away from this college basketball tournament (and, if you’re new to filling out brackets, they may provide some wisdom there as well… or, you can just pick based on mascots). Here’s to my favorite time of year. 1. Even an undefeated record only matters in the first game. If a team wins every single one of their regular season games, all 30+ of them, they may get to be a top seed in the tournament. And history has shown that a top-seeded team has NEVER lost the first round. BUT… they’ve lost the second round, and the third round, and of course, they’ve lost the championship game. Your past experiences may set you up for success, but they don’t guarantee it by any means. It’s up to you how you want to learn from them and use them to prepare. 2. Eventually, you will have to face the toughest team. With 68 teams and a pretty wide bracket, a team may get lucky with their first few games and get an easy path to the second weekend of basketball, even the third. But no matter what, in order to win the whole tournament (what it’s all about), they’ll have to match up against the best team eventually. You can only put off your toughest test for so long if you want to win, and you certainly can’t count on someone else to take care of them for you. Don’t be afraid to face your challenges head on. 3. Take each game as it comes. Some teams get caught looking ahead to the next game. They mentally prepare for the toughest opponent, and disregard what they see as an easier team who often times then pulls off a suprise upset. Plan for the future, but make sure to prepare for the game just ahead of you, too. Don’t take small obstacles for granted or they might become much bigger ones. 4. Bet on the coach. This lesson is more a bracket-picking strategy, but an important one that my dad always drilled into me. History has shown that certain coaches are just good in the big games. When you’re in a tough situation, look to a coach or mentor with a winning track record. Surround yourself with people who have proven themselves in difficult match-ups. 5. Sometimes strategy wins… sometimes it doesn’t. Another lesson based on brackets: match-ups are unpredictable. A team you may think had no chance at winning may win 1, 2, even 3 games, and throw off the whole bracket. (If such a thing didn’t happen, it wouldn’t be called March MADNESS). Plan for the most likely scenario, but don’t forget to expect the unexpected too, and since life isn’t nearly as set in stone as your bracket picks, be ready to adjust as needed. 6. The ending of the game matters far more than the beginning. Technically, it’s all points, right? Well, what do you remember more, that 3-pointer the guy hit (or didn’t hit) five minutes into the game, or the buzzer beater that sealed the deal? You can overcome a slow start with a good ending, and when you do, that will often times be your legacy. 7 . Experience trumps talent. Last year, Kentucky won the National Championship with four freshman as starters, but this is a rarity. 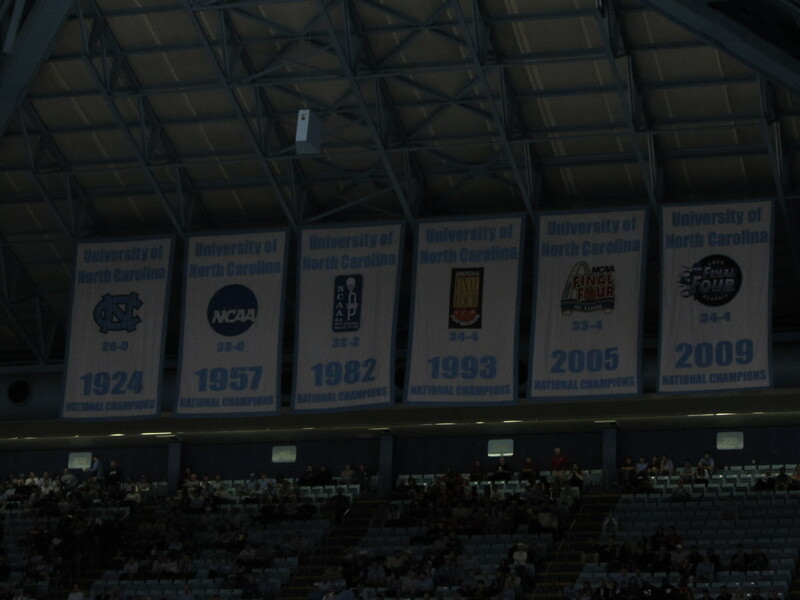 When it comes to the tournament, most analysts know that even the best freshman players usually can’t lead a team to the final game; they need help from veterans who’ve been there or another year to get their footing — my team, North Carolina, has won their past two championships when their best players were sophomores and juniors, NOT freshman. Don’t be disappointed if you don’t get as far as you want to in your first big game. Use your experiences as a catalyst to do better in the next one (and most of the time, if not always, there is a next one). 8. Any underdog can beat any top team on any given day. You were waiting for this lesson, right? I mean, again, it wouldn’t be called March Madness if this didn’t happen. Aside from the aforementioned #1 seeds, any team has the ability to upset any team, to play their hardest, to pull off a miracle shot, on any given day — they’ve done so plenty of times. Impossible shouldn’t be a word in your vocabulary. Instead, focus on how to overcome the challenge. Take the game in four-minute segments rather than the full 40 minutes (a common strategy in basketball, since that’s the break between TV timeouts). BELIEVE you can win. And you just might. So there you have it, who’d have thought a basketball tournament could provide lessons? Then again, I struggle to find anything in life you can’t learn from.